Julia has taught dance in many primary schools and high schools across Scotland, from Altnaharra in Sutherland to Lochee in Dundee. She has been involved in touring projects for schools such as the Well Good Project, a collaborative project between NHS Tayside and Smallpetitklein Dance Company, that looks at the issue of smoking cessation through dance theatre. In a team of 2 dance artists, Julia performed and taught dance to primary 7s in over 60 primary schools in Dundee and Perth & Kinross. She has also been a performer and workshop leader for Qdos Creates, a dance theatre company based in Barnsley, delivering workshops to young people in secondary schools across Yorkshire. Julia was part of the cast of Under the Influence, an energetic dance and physical theatre performance that explored the consequences of underage drinking. She also co-led the issue based workshop following each performance in secondary schools and youth clubs. 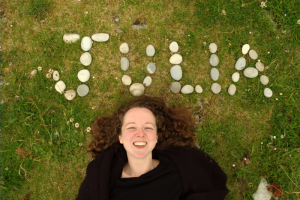 As a Dance Associate with plan B Collaborative Theatre, Julia was involved in My Best Friend’s Friend,a dance project involved all 6 of the associated primary schools of Ullapool High School – Achiltibuie, Badcaul, Lochinver, Scoraig, Stoer and Ullapool Primaries. 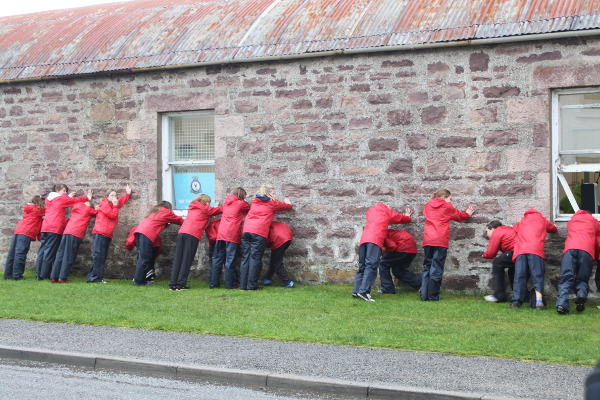 The project began in 2011 working with the pupils at P6 level, then repeated in 2012 following them into P7. 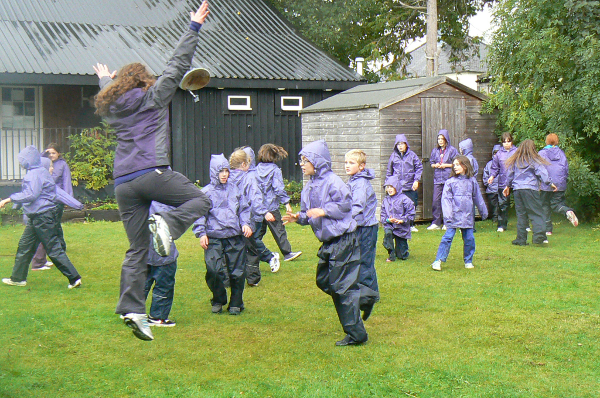 Each year Julia and Robbie Synge from plan B, worked creatively with the children and teachers, building towards a final performance event that brought together all of the schools – around 80 children in total. Throughout the project the children built up a portfolio of work including dance, artwork, stories and videos, all about their relationships with best friends and their best friend’s friend. 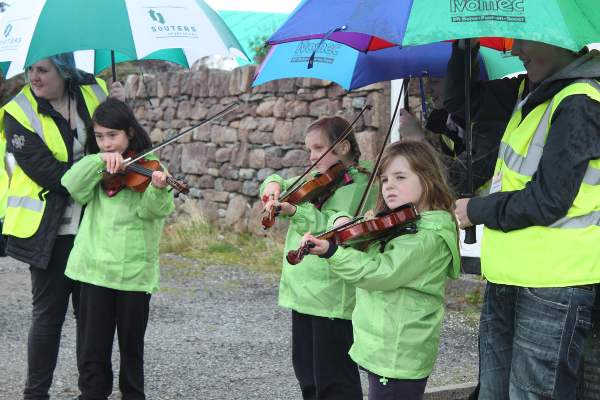 In 2012 plan B collaborated with composer and musician Anne Wood and storyteller Gerry Kielty, to produce an imaginative and lively outdoor performance in Ullapool town centre. 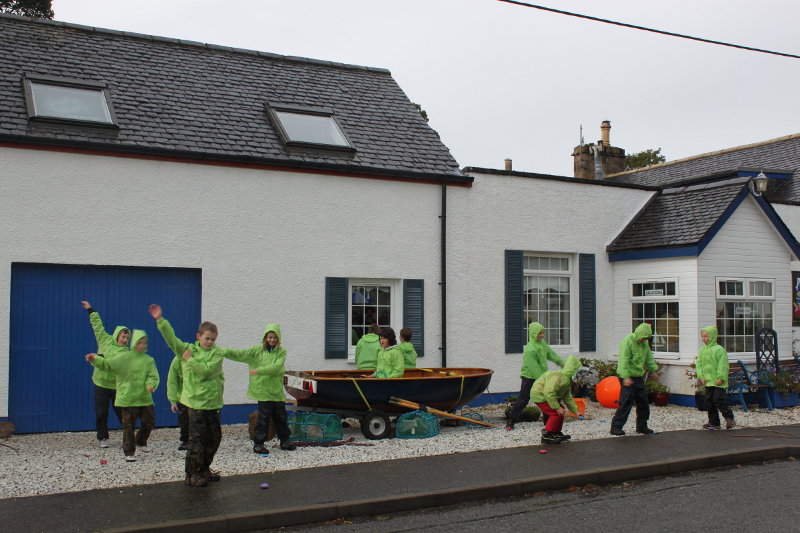 The show was a series of mini site specific dances and live music performances, all linked up by a walking tour led by a storyteller, and culminating in a mass choir and ceilidh finale. My Best Friend’s Friend from Julia McGhee on Vimeo.